It’s funny, until I got one I didn’t realise I wanted it, but now I’ve got it I’m intensely proud of it. And it’s all Cameron’s fault. I’ve known Cameron for 5 years longer than he’s known me. Ever since I cared about this whole ‘essbase thing’ he’s been writing about it. I poured over his blog, reading and learning. Laughing. Setting up an RSS feed just to get reminders of new posts. Waking up to a notification at 6am and bleary reading through references to the ‘golden age’ of song writing salted with overtones of someone who truly loves what he does. Talking to Cameron about essbase is surreal. He’s a force of nature. Done everything, knows everyone. The adage of ‘having forgotten more than you’d ever know’ rings true – moreso when you point out the only reason you know is because you read it on his blog 3 years ago. Everything he knows he’s learnt through trial and error. In Cameron’s world, you don’t know something until you’ve pulled it apart, interrogated the depths and can explain both the method and the madness. For Cameron, learning is the endless struggle – Sisyphus pushing the boulder uphill – never satisfied because there is always something new. His self deprecation is a blessing and a curse. He bemoans the fact that ‘geniuses’ of the world seem to work it out quicker, come up with the answer faster. Never realising that the path is always easier if someone already made a trail. It was in this mould I learnt. The beauty of knowing something this intimately is like a drug. But it’s hard work to get there. Hybrid essbase is a funny beast. A niche product in a niche product set. Schodiegers database. Both strategic and not. On every official slide deck but not officially supported. The silver bullet in a world where silver bullets don’t exist. To see the value in Hybrid you only need to look at the people looking at it. The essbase nerds. The hackers. The ones who spent days rewriting the same set of code to eeek out the last edge of performance. The ones who have fought the battle with BSO and lost. The ones not ‘bright’ enough for ASO. It’s this world that we entered to write a presentation. To be clear now. The presentation was Cameron’s idea. He offered the primary role to me to make it slightly cheaper to come across. Make it palatable to my company to fly me across the world to stand in a room for an hour. That. And he was already doing 3 more presentations. Essbase cloud was here. Something new. Something else to pull apart and learn. So we have a plan. A hybrid essbase presentation. The ever learning essbase hacker who wrote the book on it, and a long haired mimicry from down under. The teleconferences were… meandering. Arguments swinging wildly from the intricities of essbase fix statements to the impacts of the cold war upon South American development. Occasionally we’d talk about hybrid. More often we’d steal the screenshare to argue the minitue of a code line. I’d like to say I won some of those arguments but that would be a lie. How do you win against someone who knows every edge case because he’s already fought it and has the blog post to prove it. We started with 3 pages of dot points. More than we could say in a week of presentations. Getting every thought down, every argument, every reason why hybrid essbase will make your life easier. Why it matters. It was technical. We both wanted that. No point extolling the virtues without showing the problems. And you can brag. This is new, this is dangerous. You need to know what you’re doing. Listen to us – we’ve fought the war and won. We’ll prove it. First he needed to prove it to himself. Every line of code was tested. And retested. And documented. And tested again. It didn’t matter – the code couldn’t be used anywhere else – but it still needed to be perfect. For anyone that’s presented with Cameron you’ll know his method. The timed practice run in the confines of the hotel room. The cold open. The introduction to an empty room that already knows your name. He knows his flaws – too much to say, too little time. He needs the practice run to make it fit, to get faster, say more. Get comfortable that he’s telling the story that’s believable. I blinked first. It was me that pushed for the multitude of caveats to start the presentation – it’s not supported, it might not work, some things are just hard. Your silver bullet might be useless if you don’t have the right target. For Cameron that was a given, he’d already heard the complaints. The people who sent abuse. The friends who said ‘yes…but’. So there we were, the neophyte and the wearied preacher saying the same lines. Being pithy, funny, encouraging, self deprecating, but always worried people weren’t understanding the message, understanding the belief. To anyone attending it was a presentation. A good presentation. We told the story. Made the jokes. Gave the arguments. Provoked the bear. To me it was a justification, a vindication that I’d made the right decision, to jump where it was ill-advised. A relief. To Cameron it was another presentation. 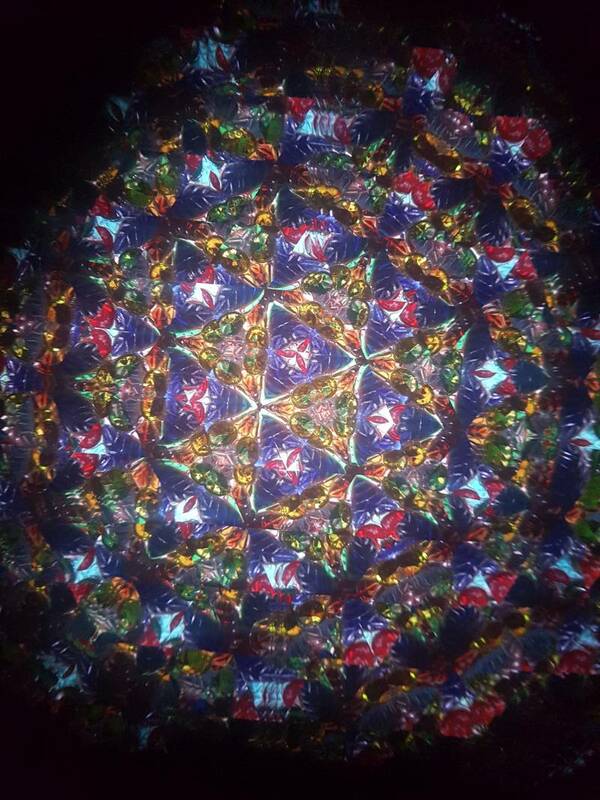 Another kscope. The last day of kscope is hard. You’ve learnt too much, talked too much, drunk too much, slept too little. It’s harder still when everyone knows your name. When everyone has the same thought. This is the Cameron they’ve been reading for 5 years. The Cameron that has struggled through the same things and written it up so nobody else has too. This is the Cameron they know. They want to shake his hand, say his name, say thanks. We weren’t in the room for the final announcement. Cameron, Celvin and I were outside talking about nothing. Essbase. Groovy. Celvin’s new house. I don’t remember who told me we’d won. Someone on the way past. A mention that they’d been calling our names. At that moment we looked at each other, shook hands and smiled. It’s easier to see the light when you’re standing on the shoulders of giants.